If you have ever wanted to make your team more effective, get better communication between members of staff and departments, “get through” to staff and customers more powerfully, have your ability to make sales, negotiate and persuade boosted, make better presentations, motivate and share vision while overcoming objections and obstacles, then it's time you considered Neuro-Linguistic Programming (NLP) to enhance your business. “NLP allows a higher level of customer and employee satisfaction enabling business to deliver the desired world class service levels”. So how can NLP boost your business? Before going on to explore the many benefits adopting NLP bestows on business and interpersonal relationships, it's worth looking at how NLP was devised. 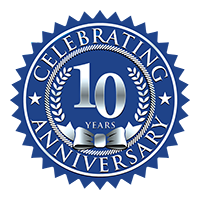 The story of NLP begins in the early 1970s with one man, Richard Bandler. He was a graduate computer programmer from the University of California, who was fascinated by the many schools of psychotherapy prevalent at the time. With his practical background in computer programming, he looked closely at psychotherapy and drew the conclusion that for making predictable change in people, most psychotherapy at the time simply didn't work. However, he observed that two therapists did reliably make changes in people: Virginia Satir and Fritz Perls. Richard set about studying their work. It was no easy task. The first problem Richard encountered was that neither Perls nor Satir could account for their successes, claiming that they relied on their intuition to guide them. Undeterred, Richard began a painstaking study of their methods, and after many long hours began to notice similarities in the language they used and the body language they employed. From these studies, it became clear to Richard that intuition has a definite, identifiable structure. He took his observations to his Professor, John Grinder, an expert in linguistics, and together they worked out the structures in language and body language that helped people change the way they were not only thinking, but feeling. When Richard then studied the work of the leading medical hypnotist Milton H Erickson, and combined Erickson's use of language with that of Satir and Perls, a highly effective tool for personal change was born. This mind tool Richard Bandler called Neuro-Linguistic Programming, or NLP. The name Neuro-Linguistic Programming says exactly what it does: through the use of language and body language it enables practitioners to change the thoughts and feelings of themselves and those around them in a predictable way. It allows for more effective communication of a message by making sure the “mood music” is correct, that is, it enables people to be shifted to receptive emotional states, as well as getting the raw data of the message across. "install" useful behaviours into others and themselves. What Richard Bandler devised was an incredibly powerful mind tool that could bring about change and improvement in others at a pace unprecedented in the therapy community. The ramifications of his discoveries were to go on to influence hundreds of thousands, worldwide. 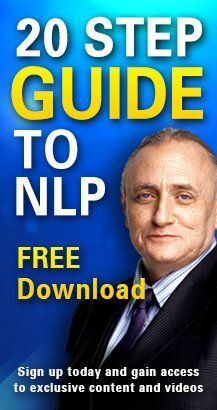 The deviser of the term NLP, Richard Bandler is a unique individual with an amazing insight into the workings of the mind. He has a strong presence both as a trainer and as a personal development consultant. Often funny, frequently confrontational, challenging and ironic - Richard is always compassionate. People who meet him are struck by his abilities as a communicator, and the strength of his personality. He is an extremely dynamic trainer who uses NLP techniques to get his message across. NLP was initially devised to help in therapy which is why it is regularly used to cure phobias, decrease anxiety, reduce stress and overcome neuroses. However, the ability to identify the ways that people are thinking and feeling and ethically make changes in those states also makes it ideal for business. Richard soon started studying the ways that great communicators in the world of business got their message across, how people motivate themselves and others, how people present more effectively and powerfully persuade. These skills, too, he realised, were transferable. NLP approaches communication on many levels. Employers worldwide already see the benefit of developing interpersonal skills with emotional intelligence training including principles that recognise and use powerful language patterns to empower. It also includes training to make the most of the non-verbal sides of communication – how to fine-tune your senses and be more sensitive to others in order to achieve successful outcomes. NLP isn’t just about improving the individual employee, it’s designed to make you a better manager because you are more tuned in to your staff and more aware of the way that you are communicating. Very often people are unaware of the assumptions they make in the language they use and are thus unaware of how those assumptions make other people feel. Shifting the way you communicate can make people feel more at ease, happier and more motivated. All of these benefits feed into the running of the company, making people feel more valued and committed to their workplace and their colleagues. Leadership is also enhanced by enabling you to properly work out and communicate your vision for the business and its staff. This positively affects morale and productivity. NLP can be used to deliver internal training and presentations. For example, one aspect of NLP teaches you how to reduce stress levels when speaking in public. Fear of public speaking is the world's most common phobia, and people with massive talents and much to give often find public speaking to be a stumbling block. Once you are comfortable in front of others, however, that is only the beginning of how NLP can be used. Because people with NLP training behind them are aware of the way the emotional state of the trainer affects and influences the state of the audience, the trainer is shown how to bring his or her own state to an optimal level and thereby bring the audience along, too. Specific use of body language and of spoken language combine to make a far more powerful effect on the audience, sweeping away the “death by powerpoint” experience that is far too prevalent in the boardroom and making real impact. NLP can change long term behavioural patterns - in the workplace, colleagues understand each other better and are more equipped to respond adequately to each others’ and customers’ needs and desires. Home relationships retrieve a sense of meaningful dialogue and a new kind of perception. Obviously, well functioning relationships are vital to the success of any business or personal life. Utilising all or a combination of NLP techniques will lead to greater confidence and presence, maximising you ability to communicate more concisely, identify and be clear about what really matters to you and create compelling goals. Master your emotions - Calmly collate relevant information under pressure. Use language with greater precision - Clearly articulate your views and ideas with pinpoint focus. Create compelling and persuasive arguments. Change unwanted behaviour in yourself and others - Manage teams more effectively. Motivate and inspire staff everyday. Most people don't recognise that there is a particular structure to the way that positive negotiations work. The “inocculation” of clients against doubt, the reframing of objections, sharing of a vision, the setting out of a positive course of action and enthusing people to follow that course are all included in the techniques taught in NLP training. All of this comes from being able to recognise the particular state in which the client or partner is currently in, and shift them to the desired state of agreement and approval. State awareness of yourself and others is absolutely central to closing a deal. The above is just a small set of examples of the way in which you can use NLP in business. To discuss the possibilities NLP will provide to your business, please contact NAME. We'll be happy to talk to you about the next step in NLP.